28 September 2017, Kuala Lumpur – UEM Sunrise Berhad (UEM Sunrise), one of Malaysia’s leading property developers, welcomes 24 retailers at Arcoris Plaza in a symbolic launch ceremony held at the podium today. 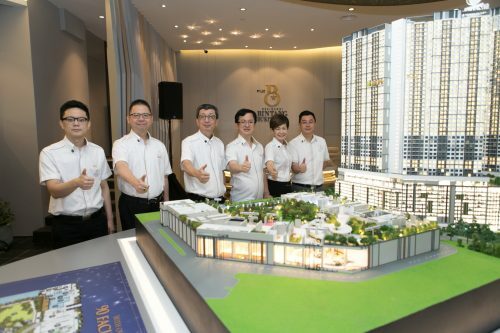 The company’s latest retail development at Mont’ Kiara, Arcoris Plaza will expand the commercial offerings of one Kuala Lumpur’s most affluent international enclaves and will swing into operations in January 2018. Arcoris Plaza will build on the success of Publika in Solaris Dutamas, the pioneering creative retail concept in Malaysia by UEM Sunrise. Arcoris Plaza will host a wide retail mix of F&B, fashion, health & beauty, leisure, gifts & hobbies, sundry & services, edutainment and general retails. The Majapahit, (Thai-Indonesian Fusion Restaurant); Kumar (Indian Fine Dining Restaurant); Japan Grocer; Children Discovery House; and Tribe; will be among the anchor retailers housed within the four-storey plaza. The other retailers will include ALPRO Plus Pharmacy, Café Bistro, Chica Chico, First Step Coffee, Global Doctors, Gong Cha & Wetzel’s Pretzel, Hair-S Signature, Merchantrade Asia, myNews.com, Playground, San Francisco Coffee, Starbucks, The Lush Clinic, TOKUYA, Trishetto Laundrette and Wall Street English. 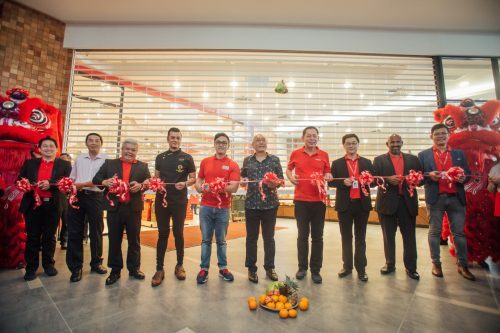 Upon announcing all 24 retailers of Arcoris Plaza to the media members, a symbolic innovative digital introduction ceremony was held, presented by UEM Sunrise’s Managing Director/Chef Executive Officer, Anwar Syahrin Abdul Ajib, accompanied by Chief Operating Officer – Commercial, Raymond Cheah. “We are proud to have Foster + Partners, one of the world’s leading international architecture firms, as our architectural partner for this project. 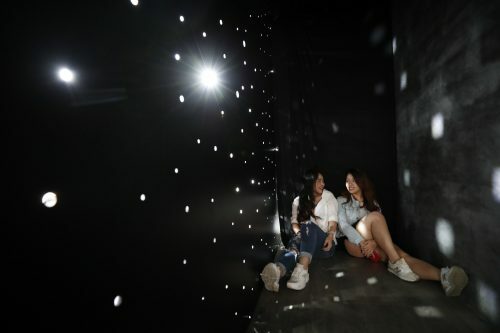 Arcoris Plaza will not only become the hang-out spot for the community of all ages to come together, but it will go further to become the next landmark that changes the whole landscape of Mont’ Kiara to greater prominence,” Anwar added. “To-date, we have leased out of 90% of our retail units and we have garnered an exciting mix of retailers to cater to the needs of the communities in and around Mont’ Kiara. Being the creator of Publika, our first retail concept by UEM Sunrise in Mont’ Kiara, Arcoris Plaza is next in line to boast its unique aesthetics designs as well as its wide array of offerings.” he added. The retail area at Arcoris Plaza begins on the Plaza Floor level on the East side of the development and cascades down four floors to LG5 on the West side. Another component of Arcoris Mont’ Kiara is the Hyatt House, a 298-key residentially inspired, extended stay hotel that is positioned on top of the Business Suites component. Expected to be opened in Q1 2018, Hyatt House Mont’ Kiara is ideal for both business and leisure travellers. 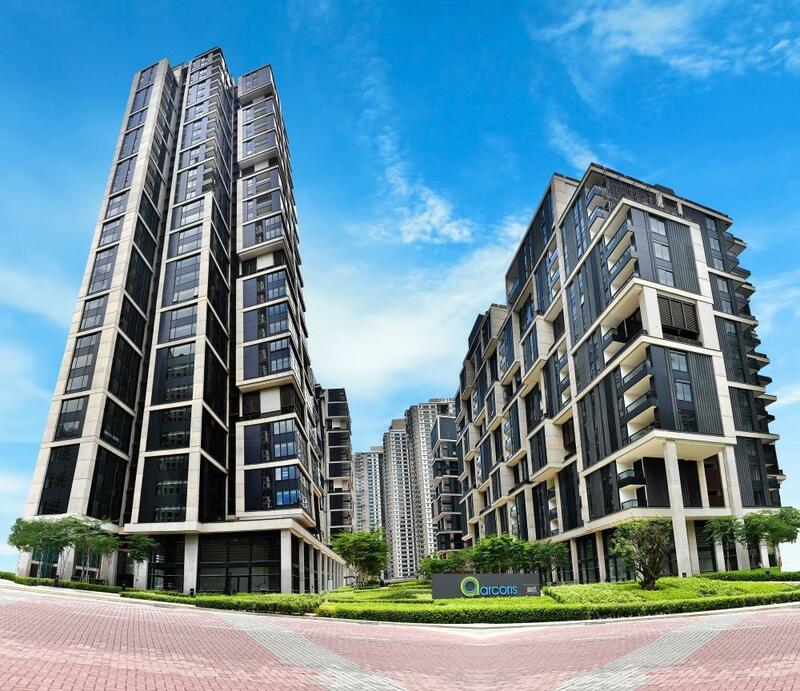 It has a gross floor area of 267,776.66 sq ft and net lettable area of 198,241.8 sq ft.
UEM Sunrise’s third retail concept in line is Radia Retail – one of the three components of the fully integrated mixed-development Radia Bukit Jelutong. 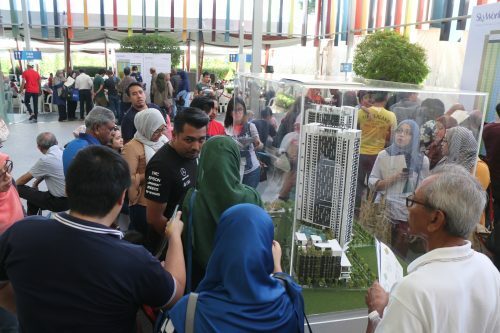 Strategically located in the vibrant township of Shah Alam, it will be operational in Q1 2018 and envisioned to be an entertainment and social focal point for Bukit Jelutong, inspired by the energetic boulevard of Las Ramblas in Barcelona, Spain.